Although immensely important and powerful, breathwork is largely over looked as a tool for health and performance. For most people breathing is an automatic function, something that happens to us instead of something that we control. Through controlled breathing we can influence our mind and body. We can prepare our body for action or calm it down ready for rest, the same goes for our mind and emotional state. 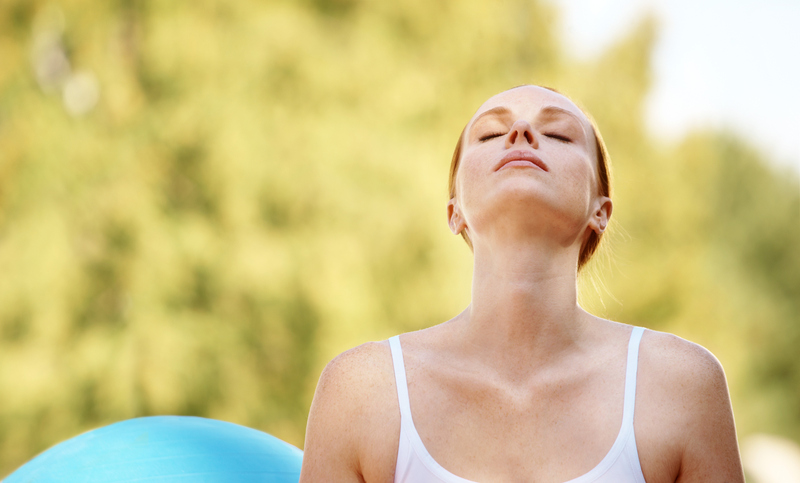 Breathing is the remote control to our brain, emotions and the chemistry of our body. If we learn how to use the remote correctly, we can have a great impact on our mental, physical and emotional well being as well as performance. The Wim Hof Method Breathing technique calms our mind, bringing us into the present moment and putting us into a state of deep meditation while at the same time optimizing the chemistry of our body. 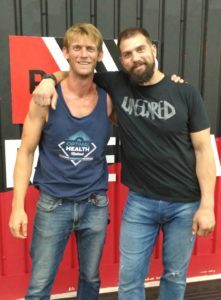 By raising PH levels to very alkaline, lowering systemic inflammation, resetting our breathing pattern and influencing our cardio vascular and immune system, the Wim Hof Method is a quick and simple method that can have profound effects on our health. 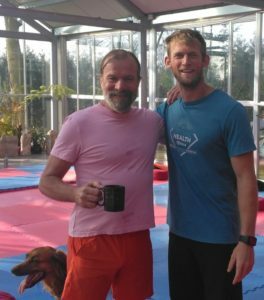 All of these claims are backed up by several scientific studies performed on the Wim Hof Method itself. In fact Wim is constantly being invited to participate in new studies as they are literally going to have to rewrite the text books on human physiology thanks to the results of these studies. The Art of Breath is a combination of styles, methods and protocols in breath work that you can apply to your life regardless if you’re an athlete, executive or stay at home mum. In my opinion where the Art of Breath protocols really excel is at the application of breathwork to athletics. The creators of Art of Breath have a long history working with athletes and being athletes themselves have really distilled breathing down to its most beneficial for human performance. In Athletics everyone works their muscles and dials in their nutrition but almost no one uses breath work to improve their performance which is a massive mistake. Most athletes think that they are working and improving their breathing muscles just by using them, but this isn’t the case. If we have deficient breathing patterns and use the wrong muscles to breathe (which most of us do) breathing more in that manner, isn’t going to fix it. Breath work is easy to implement, adds no extra time or stress on your working muscles and can have a massive impact on performance. Oxygen is our main source of fuel, why not learn how to get the most out of it? The Oxygen Advantage by Patrick Mckeown is a system that not only will help you in your athletic performance but it also teaches you “how” to breath in your daily life. Faulty breathing patterns can be picked up at a very early age and can lead to low energy, poor sleep, brain fog and at its extreme it can even change the shape of your face and cause asthma and other breathing pattern disorders. Based on the Buteyko Method the Oxygen Advantage will help you to correct your breathing and help you to perform in life in general. If you are looking for breathwork in Mallorca you have come to the right place! We can help you improve your health, performance and productivity through easy breathing techniques that are simple to implement and take little to no extra time.